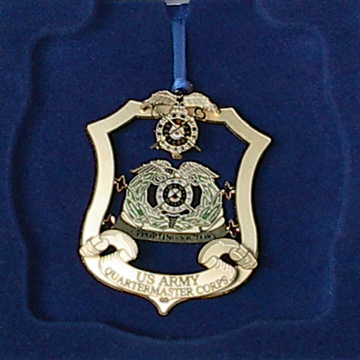 Brass 3 dimensional ornament has a full color screenprint renditions of both the QM Insignia and the Regimental Crest. Measures approximately 3″x4″. 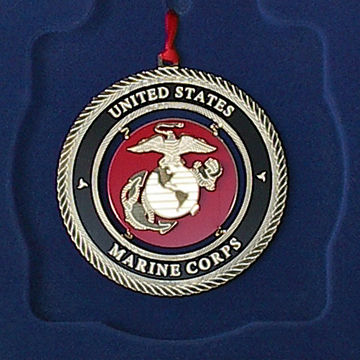 Comes gift boxed with a ribbon for hanging and a small stand. Perfect for the desk, bookcase, shelf, or hanging. 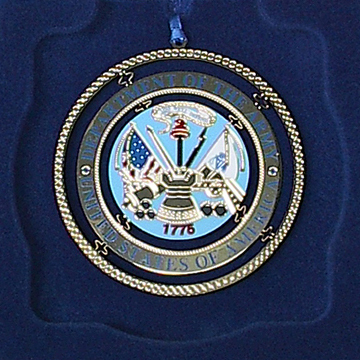 Made by the same company that produces the White House Ornaments.